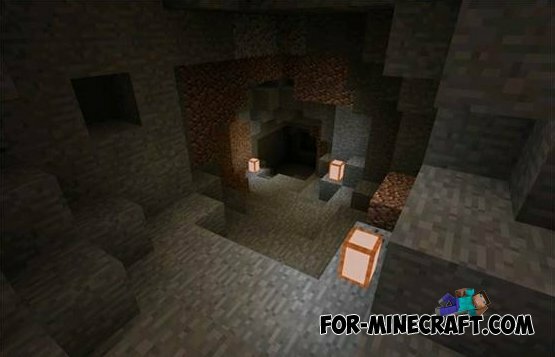 Lantern mod for Minecraft PE 0.10.5 - this mod will add lamps for Minecraft Pocket Edition 0.10.5. With this mod you can be crafted in the game special lamps. With these lamps you can replace the standard torches. New lamps will be much longer and brighter shine and provide you with any light the darkest place. Crafting these lights you will need 4 paper and one burner. New lights will also be added using TMI and lamp ID will be 250.